Thank you for considering donating to the California Nevada Racquetball Association! Your TAX DEDUCTIBLE donations go directly to supporting and building racquetball programs across the state; and we definitely need your help to keep growing this wonderful sport. Some of the activities that the CSRA supports are programs for Juniors, Collegiate, and a Youth Scholarship Fund. Every donation is greatly appreciated! 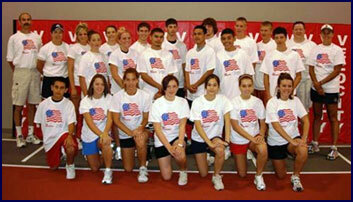 Your donations helped to support California Juniors training with the National Team.